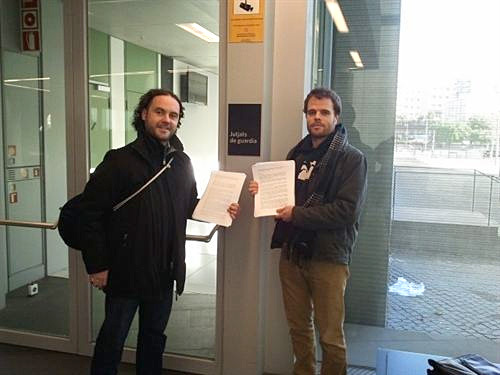 The Catalunya Diu Prou (Catalonia Says “Enough”) platform filed class action on Thursday January 3 on behalf of Catalans living outside of the Spanish State and were unable to vote in the elections last 25 November. A total of 150.346 Catalan voters residing abroad could not vote in the last Catalan election of the 25 November, according to data from the International Federation of Catalan Organisations (FIEC). Only 16.271 voters entitled to vote (5% of Catalans living abroad, according to newspaper La Vanguardia) were able to overcome the first step of the so-called voto rogado (solicited vote) process, whereby voters must request their right to vote. Catalunya Diu Prou (CDP) has gathered and brought to Court 40 lawsuits and 450 legal complaints from people who had difficulties or were unable to vote because they reside outside Spanish territory. Countries where most problems in exercising the right to vote were detected were the USA, particularly in Florida, Georgia, Maryland, Miami, New York, New Jersey, Massachusetts, Connecticut, Illinois, Pennsylvania and San Francisco. There were also incidents and complaints in Canada, Australia, Mexico, Bolivia and Chile, Germany, the UK, Ireland, Norway, the Netherlands, Portugal, Puerto Rico, and South Africa. The legal services of CDP, with the support of the Catalans al Món platform and through web site nopucvotar.cat, has advised and handled 40 lawsuits, as well as four hundred fifty complaints from those affected. This class action also has a preventive aim concerning the upcoming referendum in Catalonia that, although uncertain in regard to its date, could end up posing similar difficulties for Catalans wanting to vote abroad.